The Radio 6 Music presenter - who spent many years hosting the Evening Session on Radio 1 - was handed the "special recognition" title as he co-hosted the AIM Independent Music Awards in London. Other winners at the third annual ceremony included rap act Macklemore & Ryan Lewis - who won two prizes - and Billy Bragg, who took the outstanding contribution to music prize. Former NME journalist Steve - renowned for his several gigs a night habit - has supported many up and coming acts over the years and with his record label Deceptive he helped to launch acts such as Elastica in the 1990s. He collected his award from Mercury Prize-nominated musician Richard Hawley at the awards event, and Steve's 6 Music colleague Gilles Peterson was also honoured with the "indie champion" title. US stars Macklemore & Ryan Lewis - whose UK hits have included Thrift Shop and People Can't Hold Us - were rewarded with the breakthrough of the year prize and the award for most played new independent act. Other winners included Enter Shikari who were named best live act, Daughter took the prize for label of the year for If You Leave and track of the year was Vampire Weekend's Diane Young. 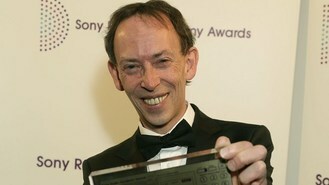 Geoff Travis, founder of the Rough Trade label, was given the pioneer award. Alison Wenham, the CEO of AIM, which represents independent labels, said: "The high quality and diversity of all the winners in a very strong year for the sector points to a bright future for the UK music industry."